Brezno is a Slovenian epic symphonic folk metal band from Ljubljana. They started in 2007 and after some concerts in Slovenia and abroad, they released the 4-track EP “Viharnik” in 2010. With a refreshed line-up, including a new lead female singer, the band started working on its debut full-length album, entitled “Kri“, which was finally self-released by Brezno on November 21, 2014. I had listened to “Viharnik” EP a few years ago and despite its short duration, it made me a quite positive impression. I noticed that Brezno have recorded new versions of the 3 main songs of their EP for the new album, so “Kri” is actually including their complete discography so far. It’s obvious they have moved forward in many levels, offering a work with a much more professional and mature sound. “Kri“, which translates to “Blood” in English, includes 12 songs totally, clocking a little over 46 minutes. Their music is based on symphonic melodic metal, enriched with several folk, epic and extreme metal elements. Heavy distorted guitars, majestic keys and acoustic instruments are combined perfectly in their orchestrations. Their music moves from typical epic rhythmic metal, to folk metal, female fronted symphonic metal, acoustic folk, epic death metal and many melodic ballad-like parts. There are continuous changes in their orchestrations, where completely acoustic passages give their place to the typical heavy metal instruments, then traditional instruments or symphonic keyboards are added in the mix, constantly changing from one style to another. Brezno have done a wonderful work in the vocals, that follow the diversity of their music. Beautiful female vocals, with a folk or operatic touch, according to the need of each song, are combined with epic clean male vocals, brutal growls and many epic choirs. All of their lyrics are in their native language, adding a local folklore touch to their sound, but I can’t tell much about the lyrical concept. Their compositions move mostly between slow and mid tempos, with an epic melancholic mood that manages to “unify” all theses different elements of their sound. My favorite track is “Izdana legija” a melancholic epic symphonic metal composition with wonderful melodic vocals and bombastic choirs. “Kri” is for sure a very promising debut album from a band that fans of epic folk symphonic metal should definitely keep an eye (and ear) on. Brezno have worked a lot on their sound, trying to balance smoothly all their influences. They seem skilled musicians and they have a quite professional production. 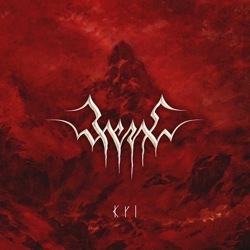 In my opinion they still need a little more work in order to create something more distinctive and personal, avoiding some “cliches” of the genre, but they are certainly in the right path… “Kri” is self-released in a nice digipak edition CD with a 12-page booklet, including all the lyrics. You can visit their official pages below to listen to their music and find more details about the band.